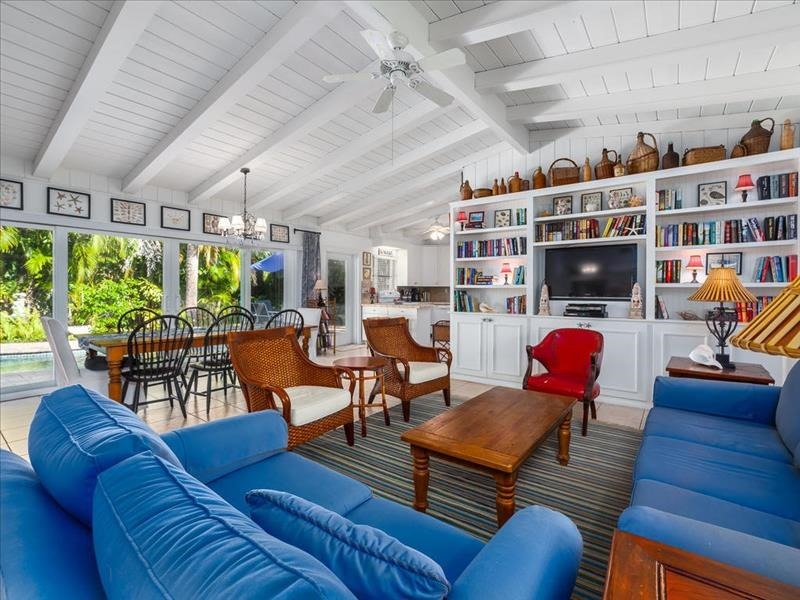 Shell Cottage- Florida style home close to beach. 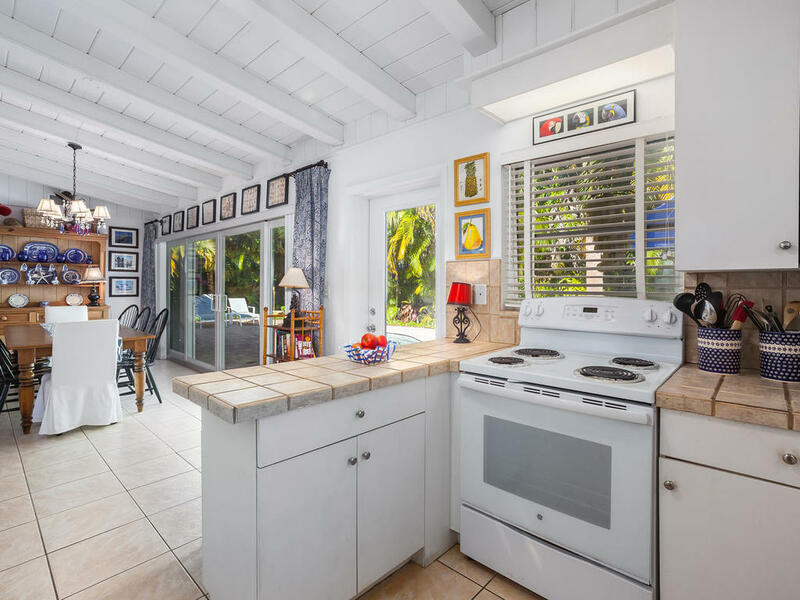 If you enjoy salt air and sea breezes, morning coffee on your patio, walking miles and miles of white sandy beach and swimming in warm, crystal clear salt water then you are going to love visiting The Shell Cottage. 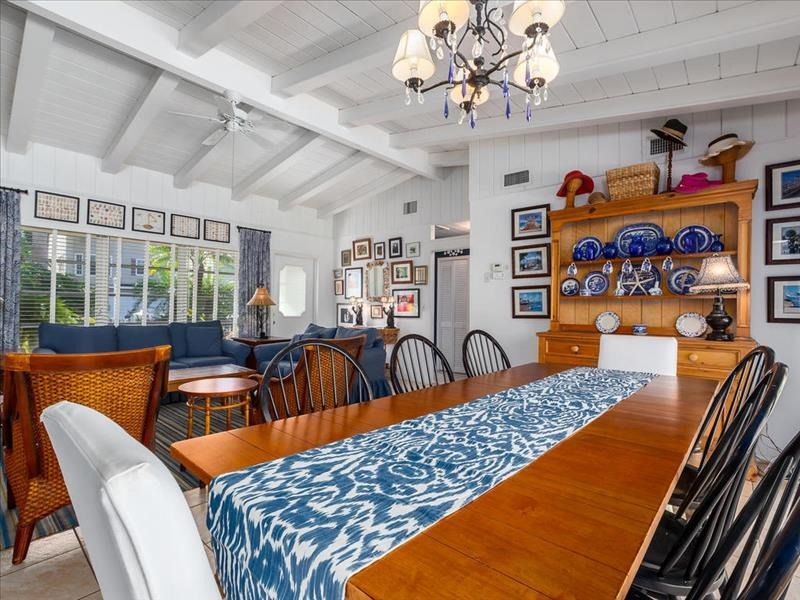 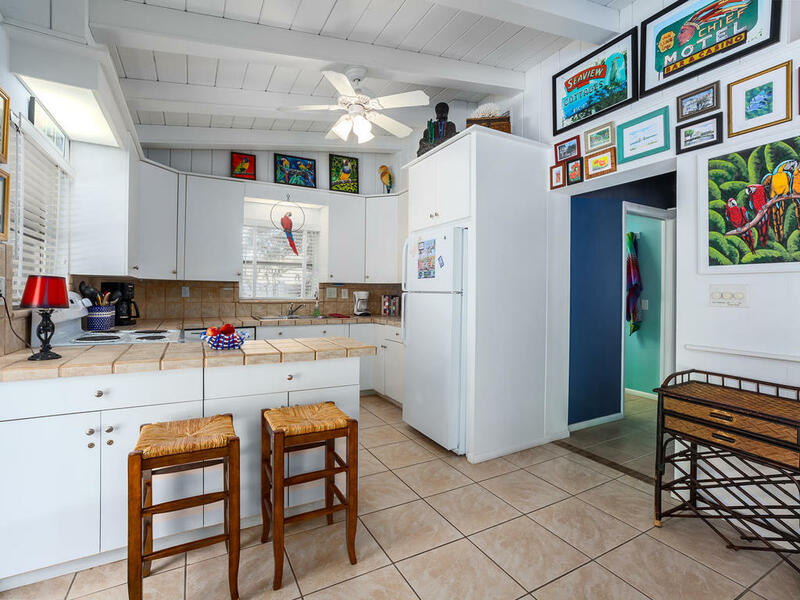 This stunning and colorfully decorated beach home is just a few blocks from shopping, the free trolley, restaurants and either the Gulf or Bay beaches. 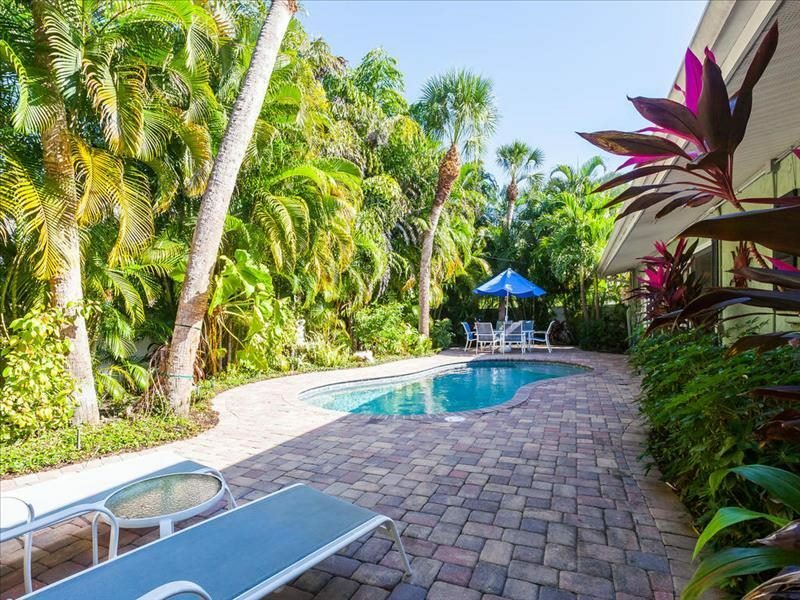 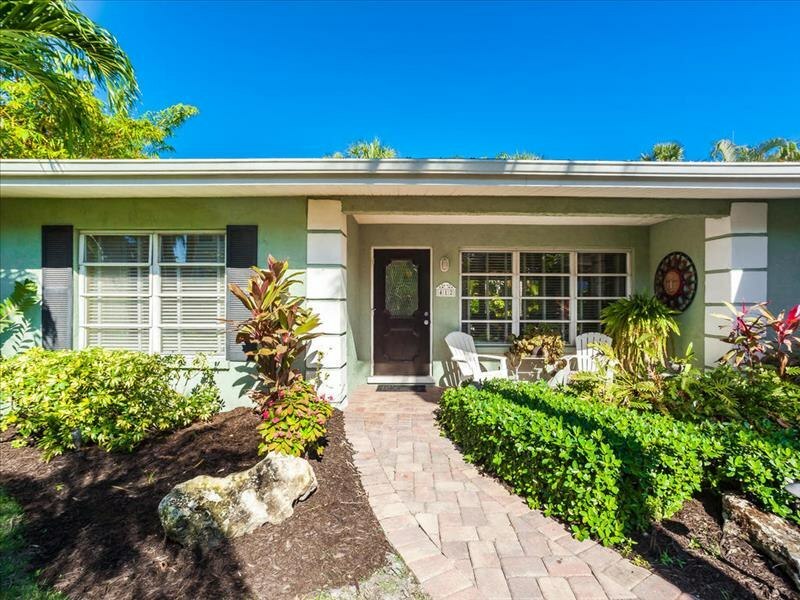 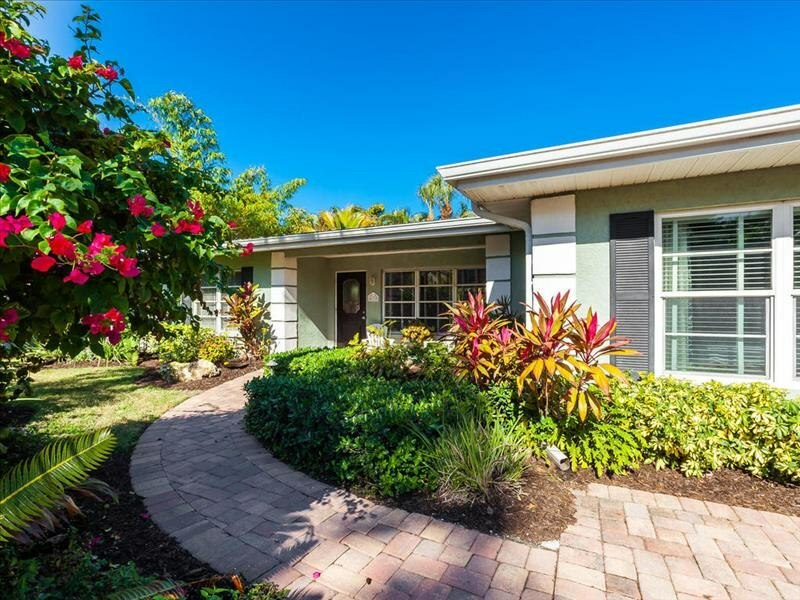 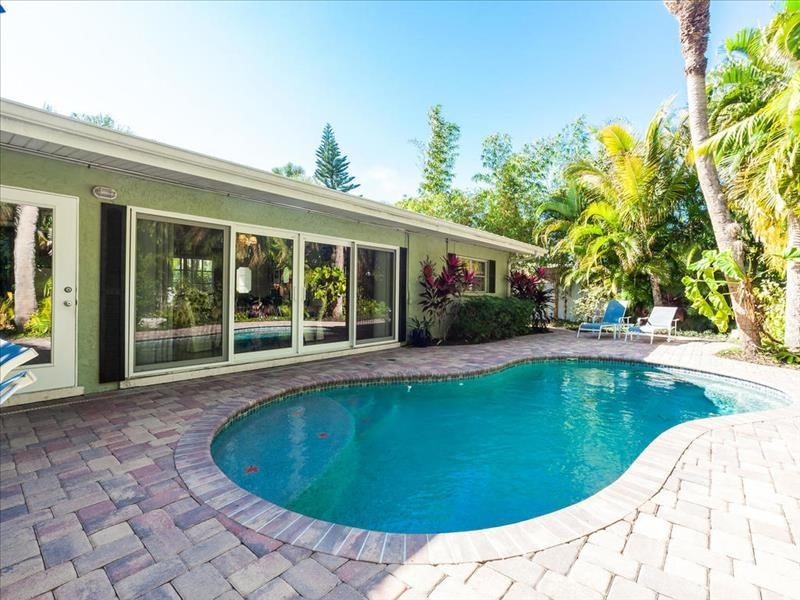 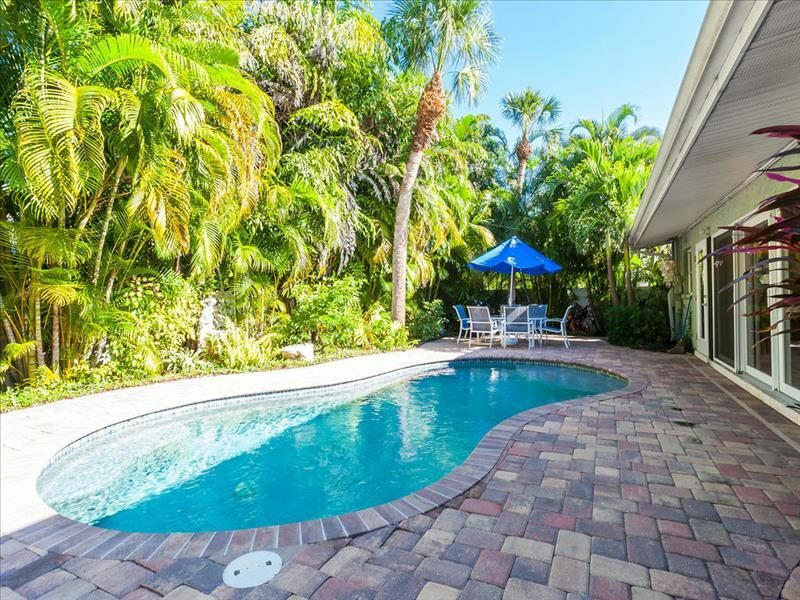 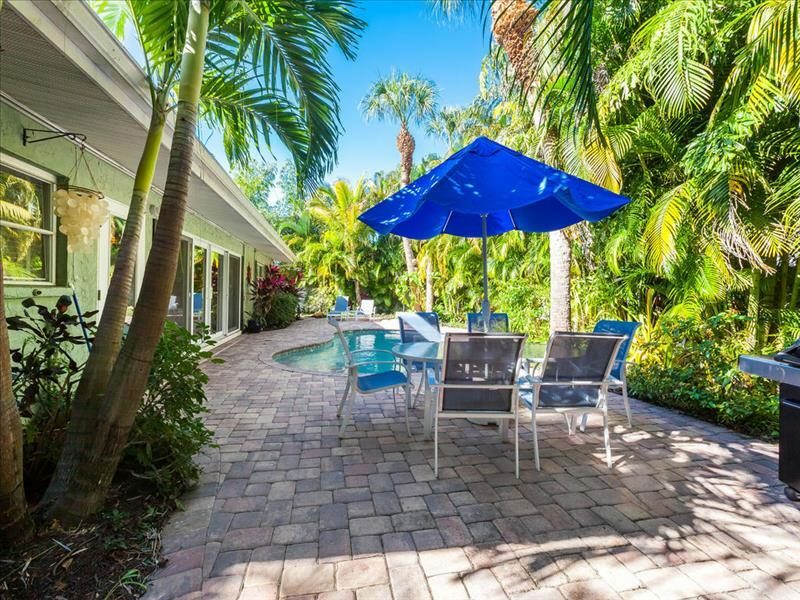 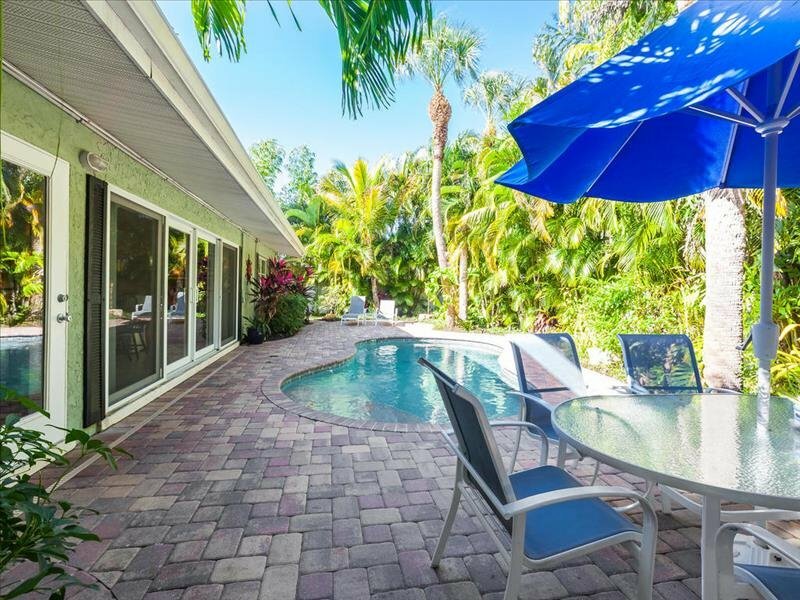 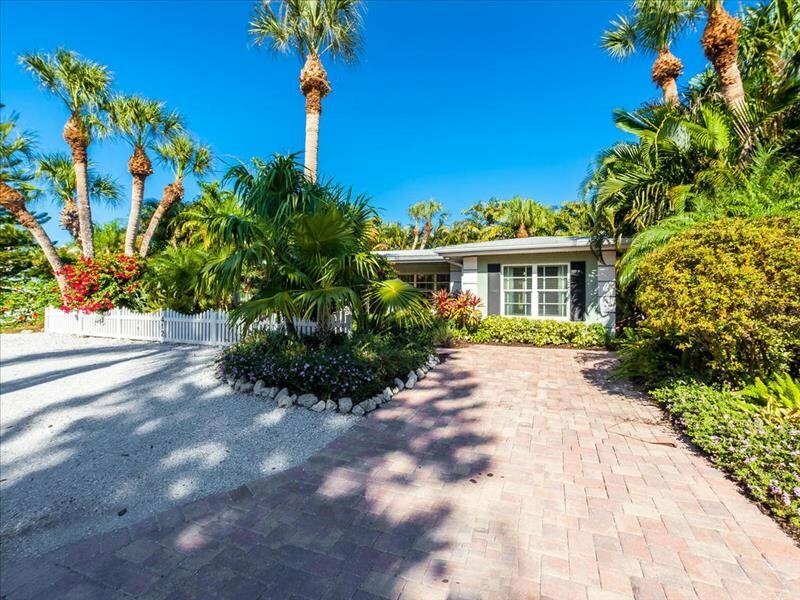 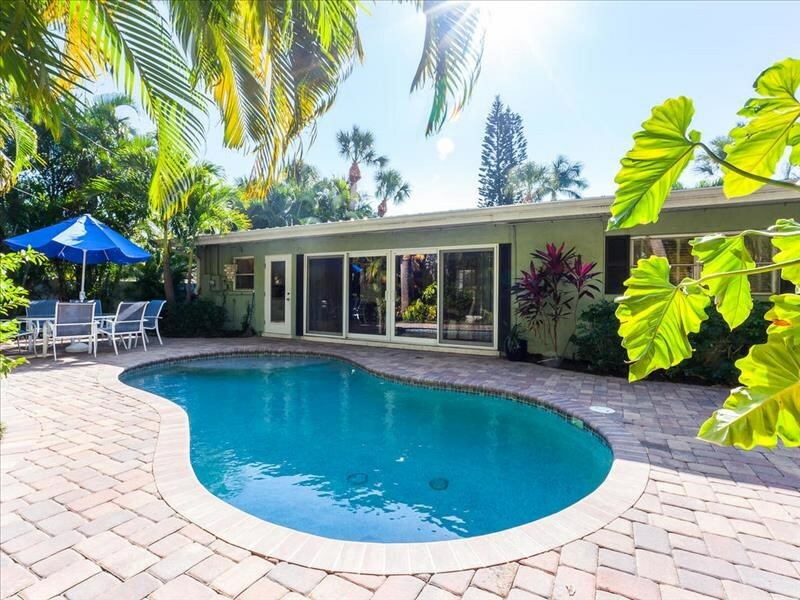 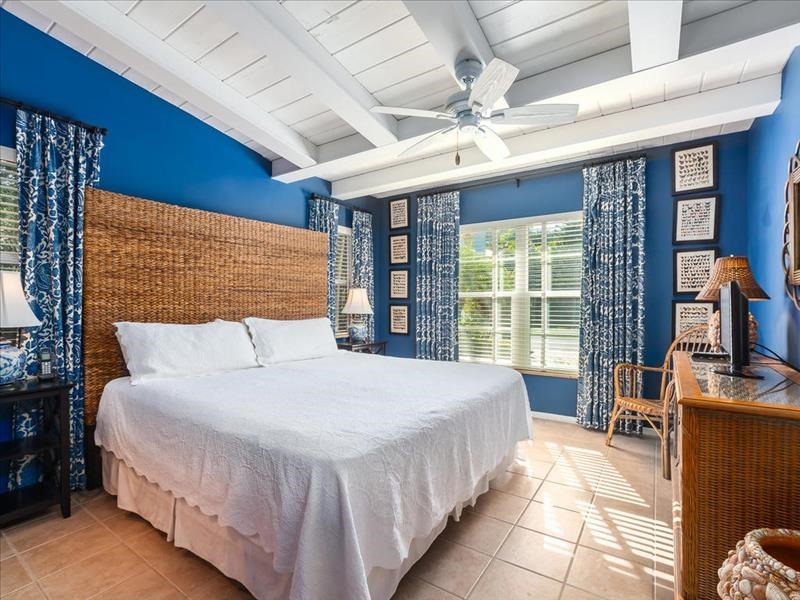 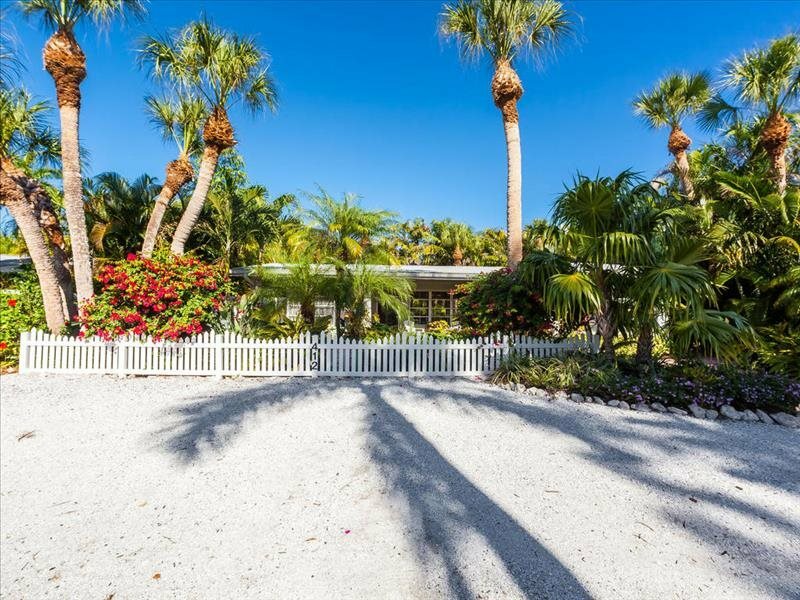 This residence is truly special and offers the absolute best of both the "quiet" and "fun" worlds that Anna Maria has to offer. 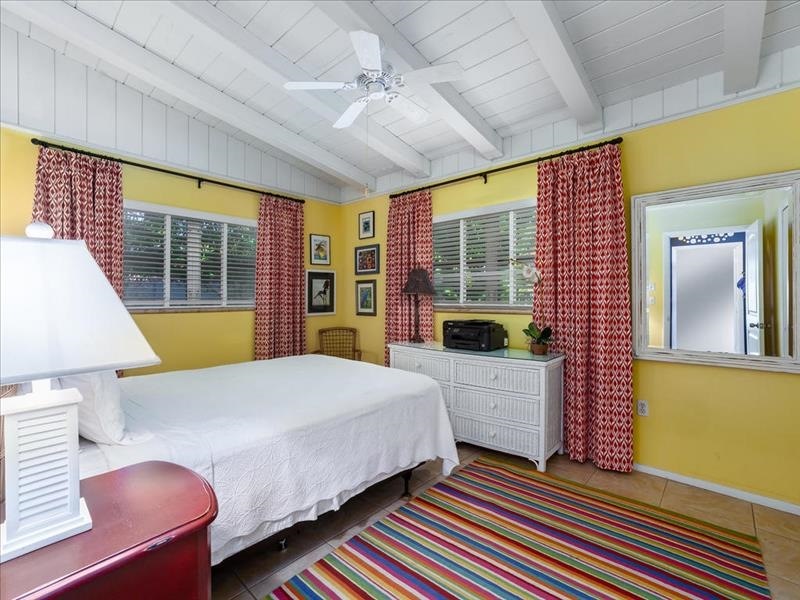 The romantic and private master bedroom has a comfy king size bed, a flat screen TV and private bathroom. 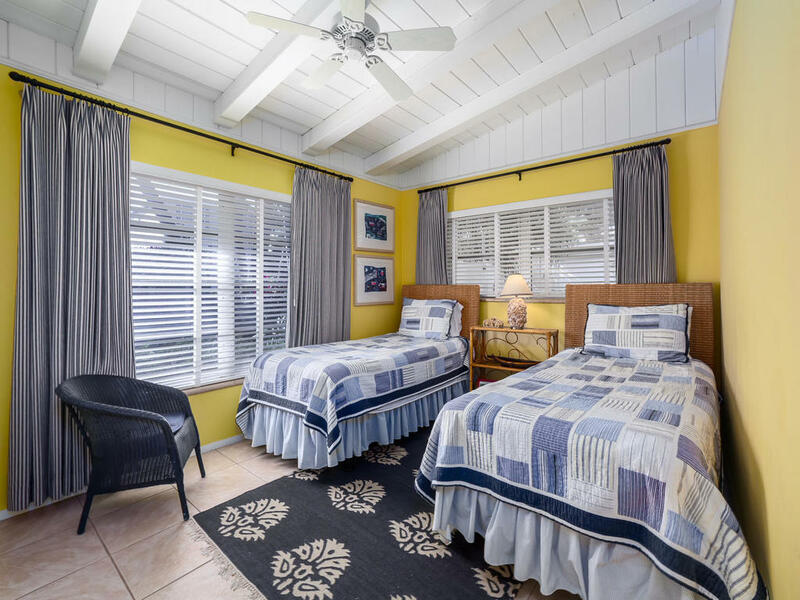 A second bright and colorful bedroom is furnished with two twin beds and the cheerful guest room has a queen. 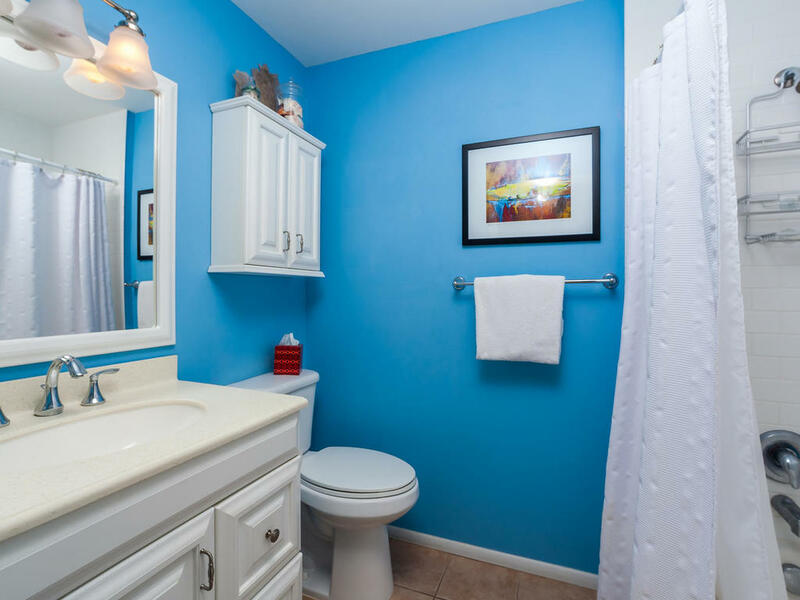 A second bathroom helps to accommodate a houseful of guests and children. 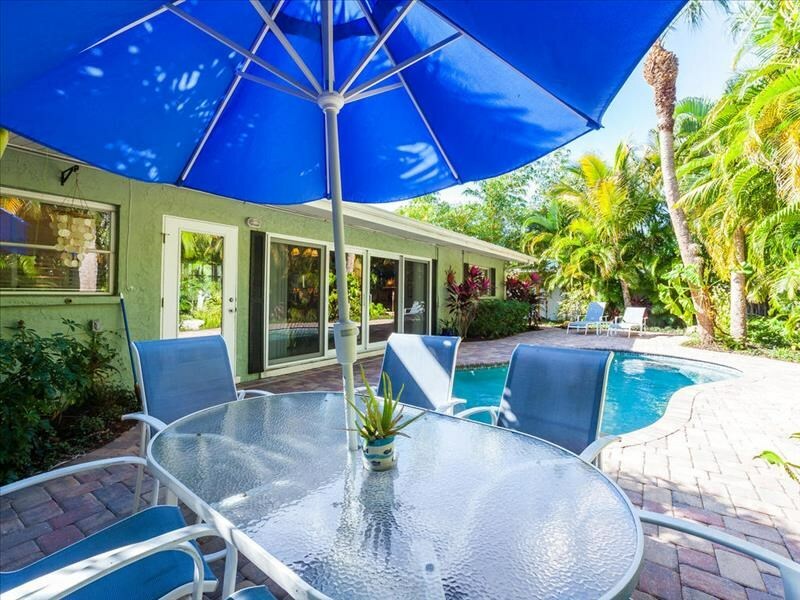 A heated pool, large round table with six chairs shaded by a big blue umbrella plus a barbeque all make entertaining al fresco a cinch. 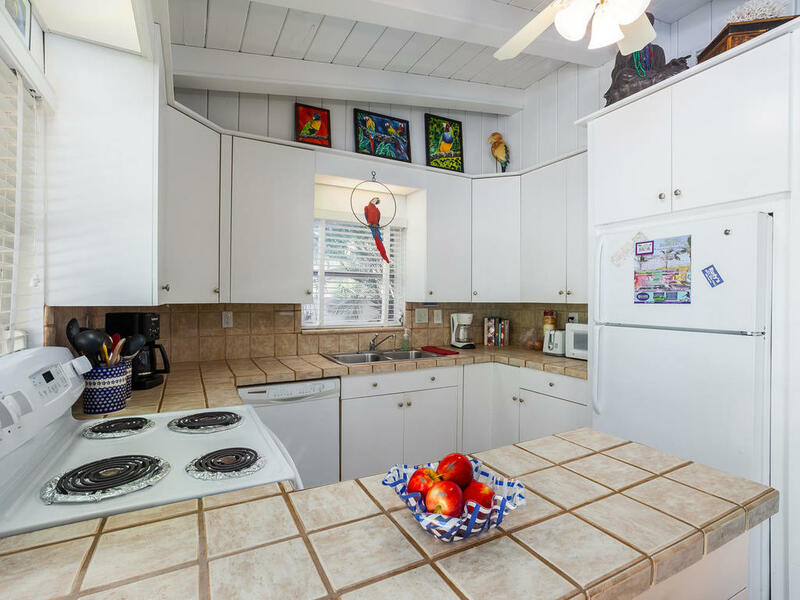 With a large patio, you will enjoy the glowing sunrise and sunsets each day, tropical breezes and egret visits. 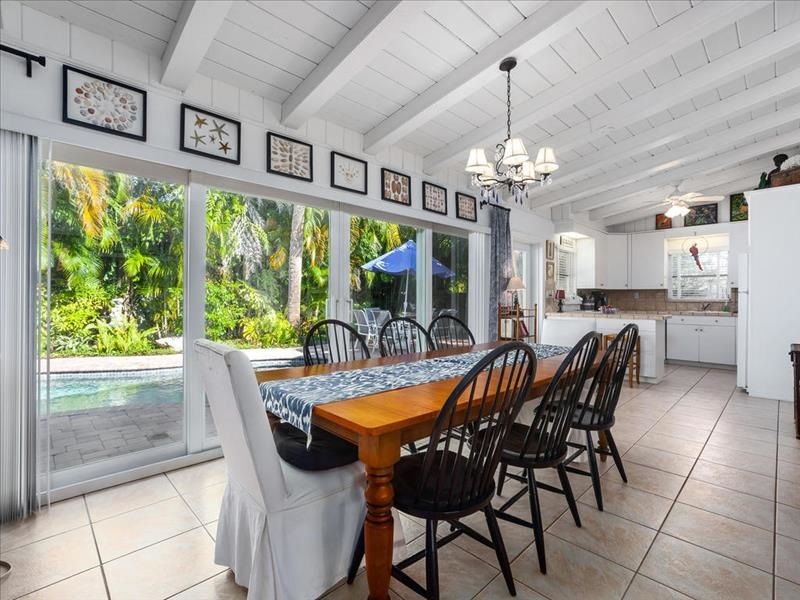 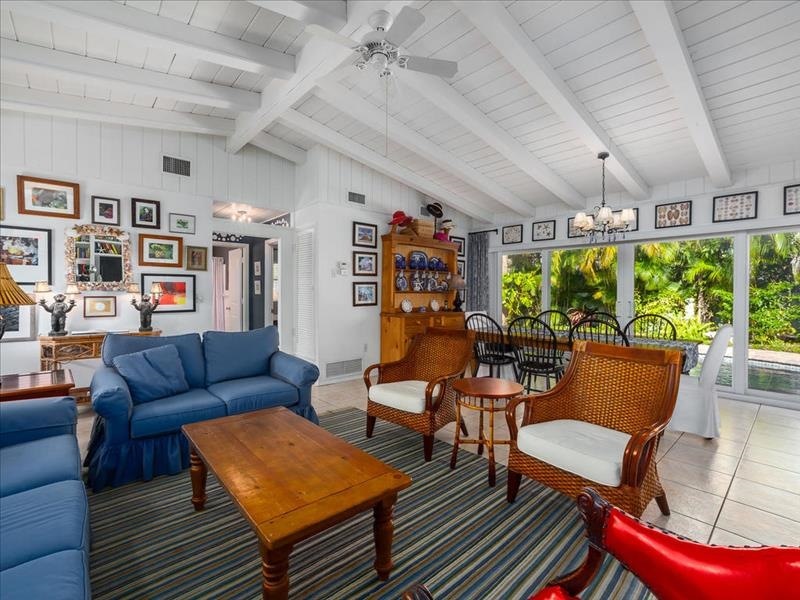 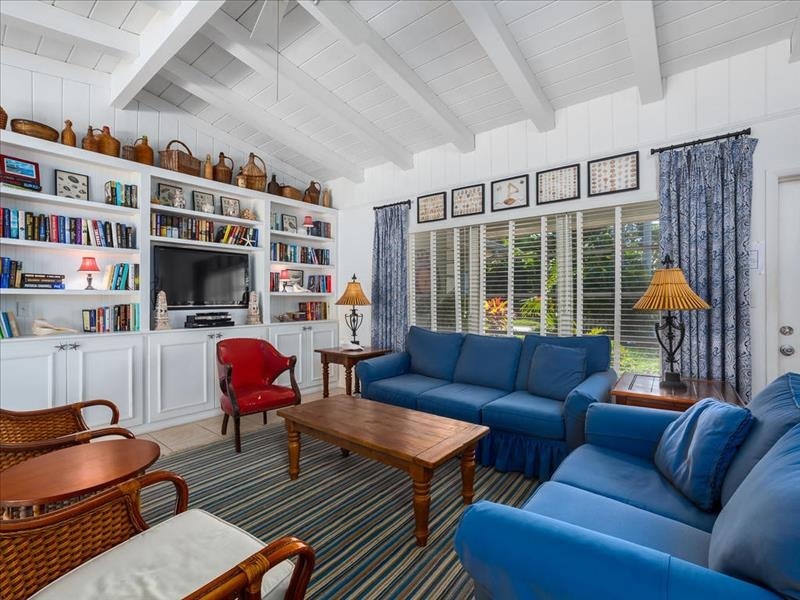 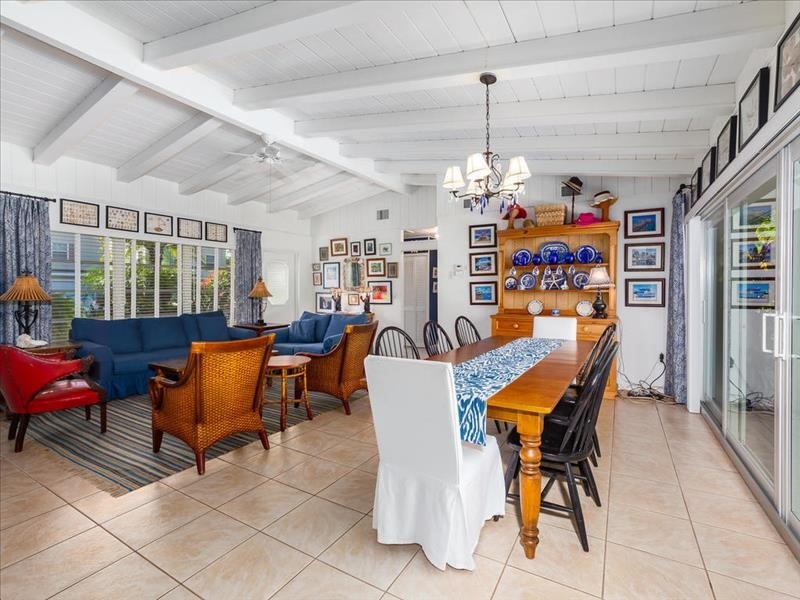 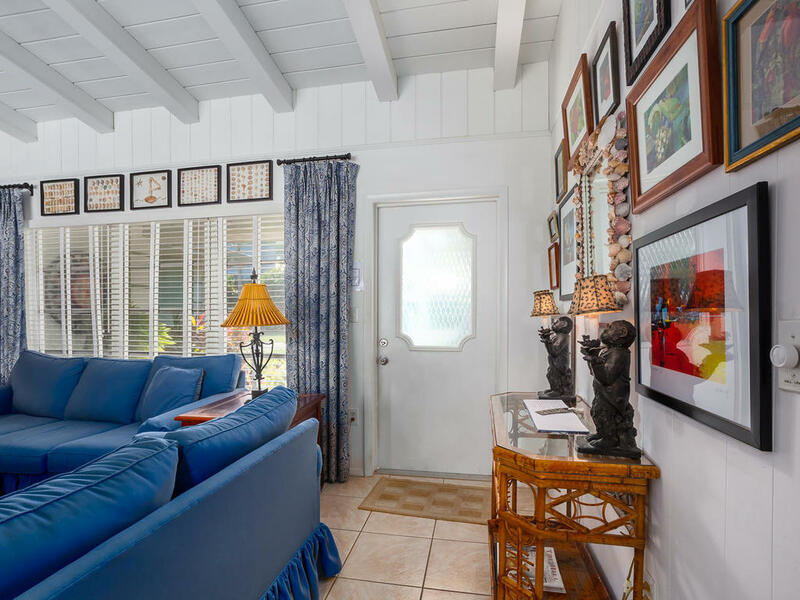 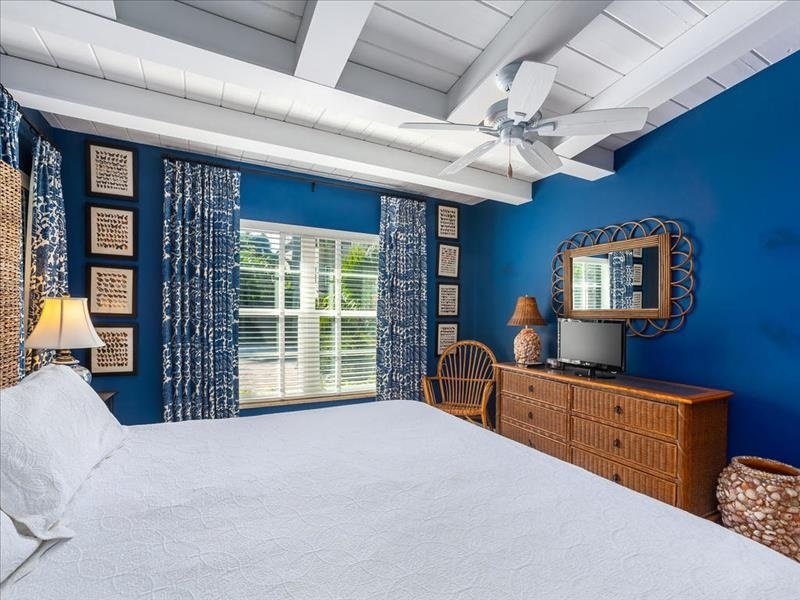 A kitchen stocked with cookbooks, wireless internet, walls decorated with original local art, a collection of seashells that will amaze, a flat screen television boasting Blu Ray, high definition. 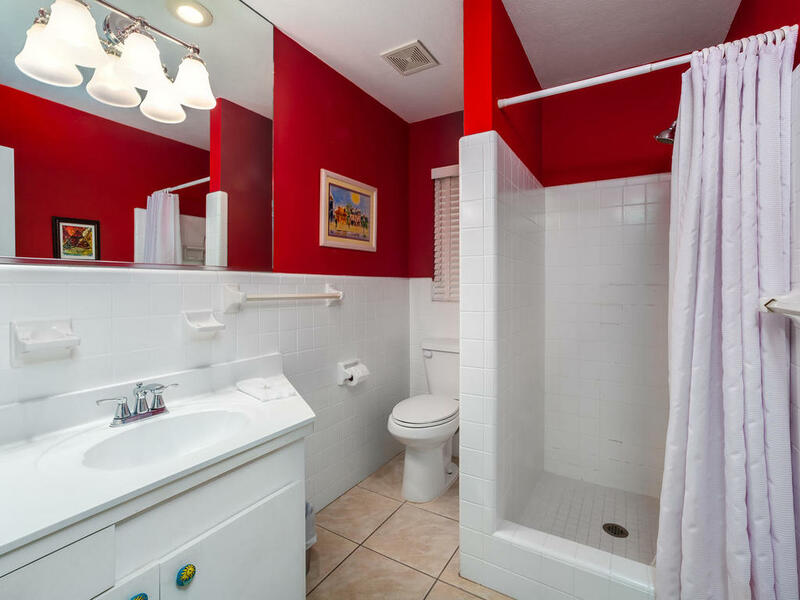 just are the beginning of the fun! 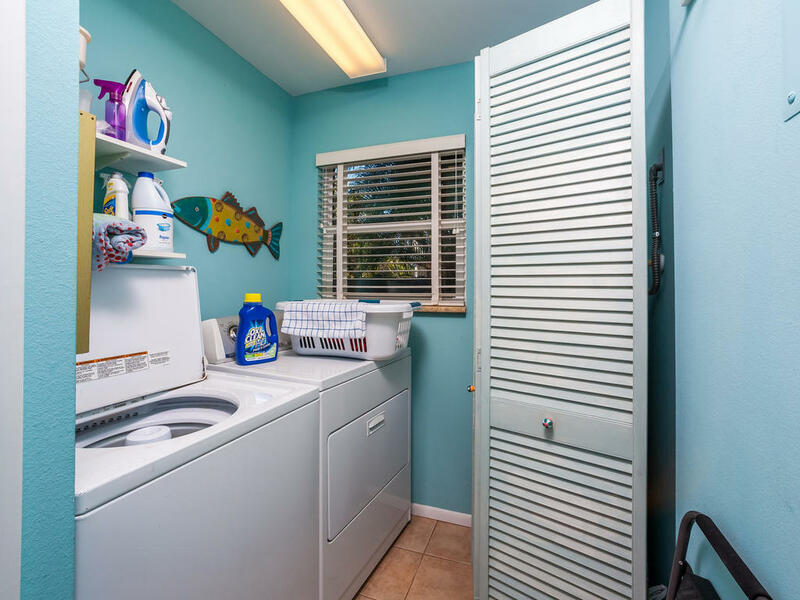 No Pets and no smokers please!